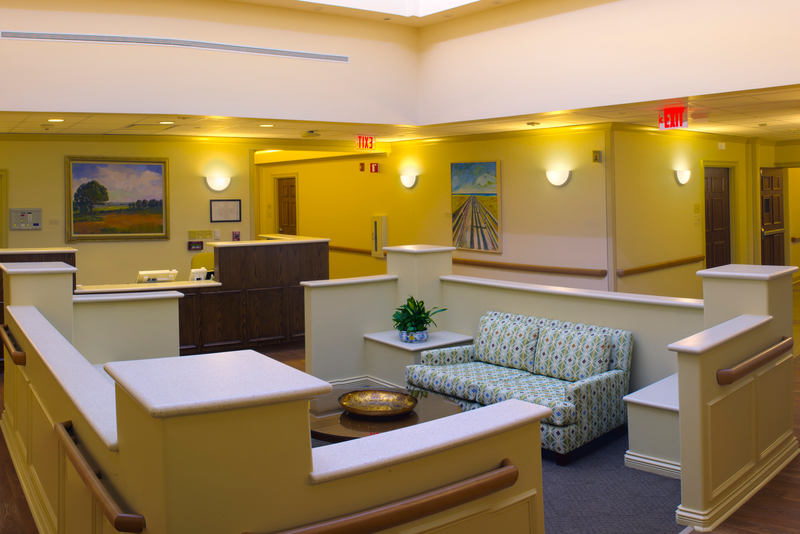 Patient rooms open to their own individual patios. 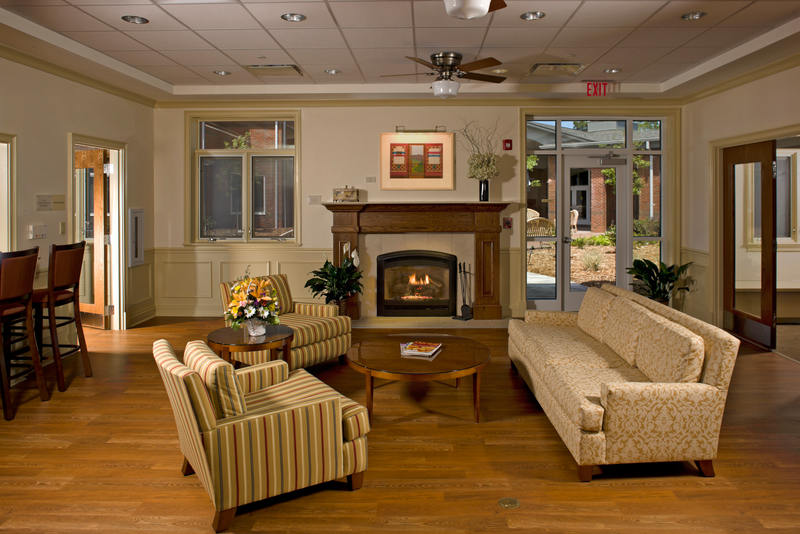 Shared family room for gatherings. 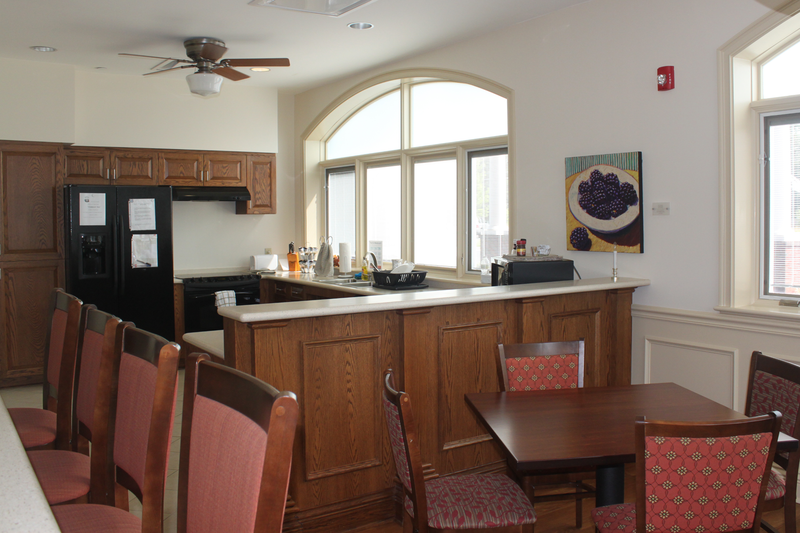 Kitchen for families to use while visiting a loved one. 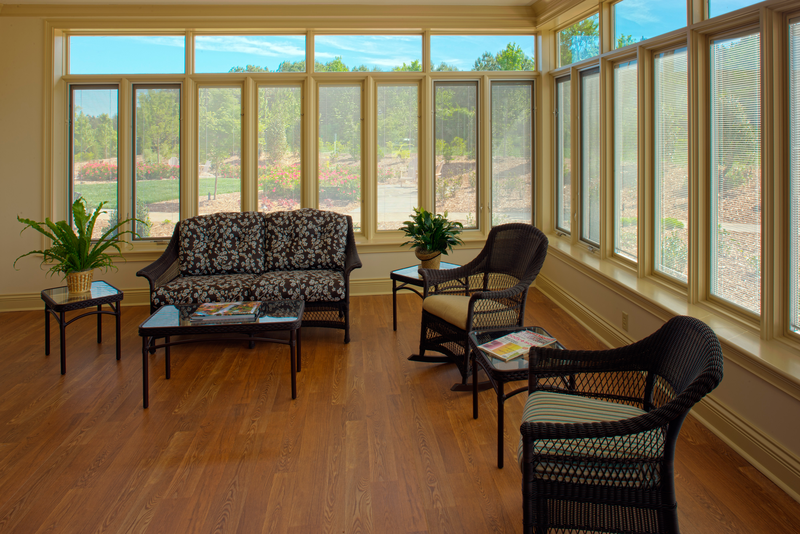 Take a break and relax in one of the sun rooms. 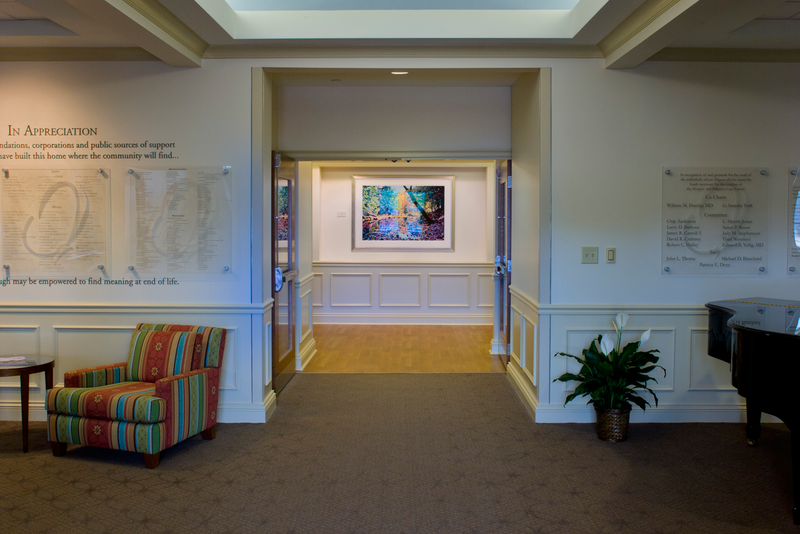 All patient rooms open to the gardens. The Sanctuary is open daily. 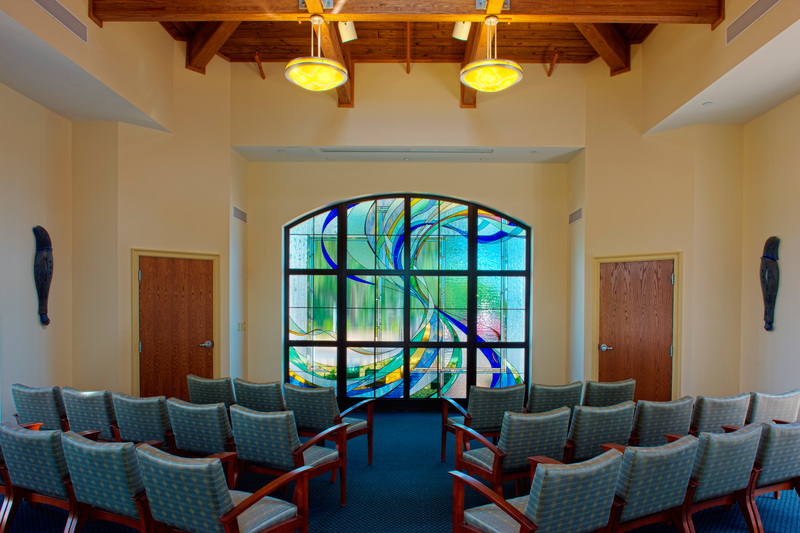 Stained glass and seating inside the Sanctuary. 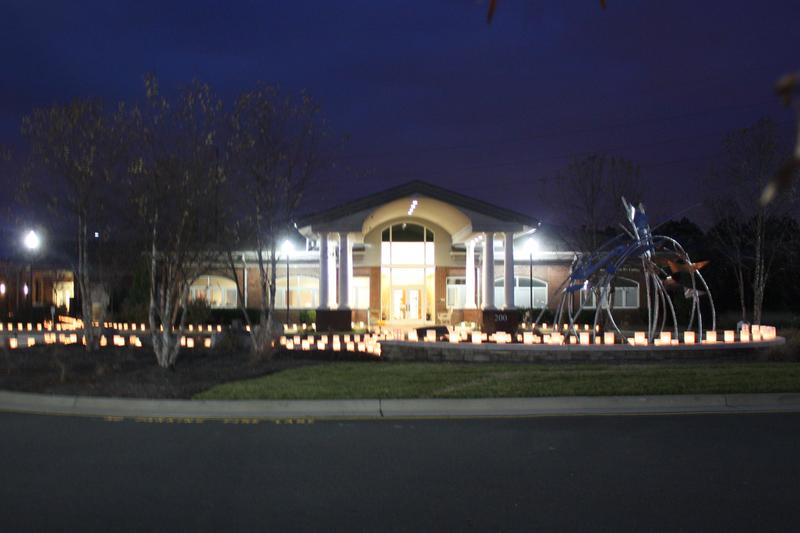 Hundreds of luminaries at the yearly Night of Remembrance. 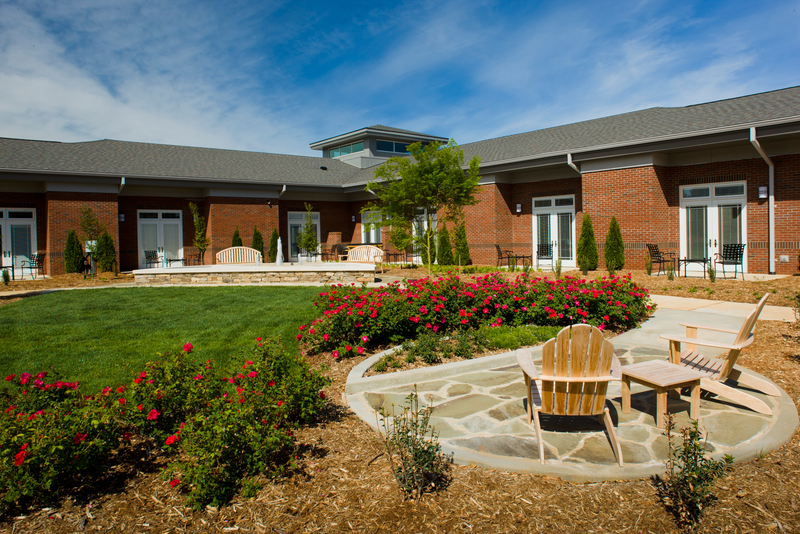 At Transitions HospiceCare we strive to help patients and families remain in their homes, assisted living communities or nursing homes. 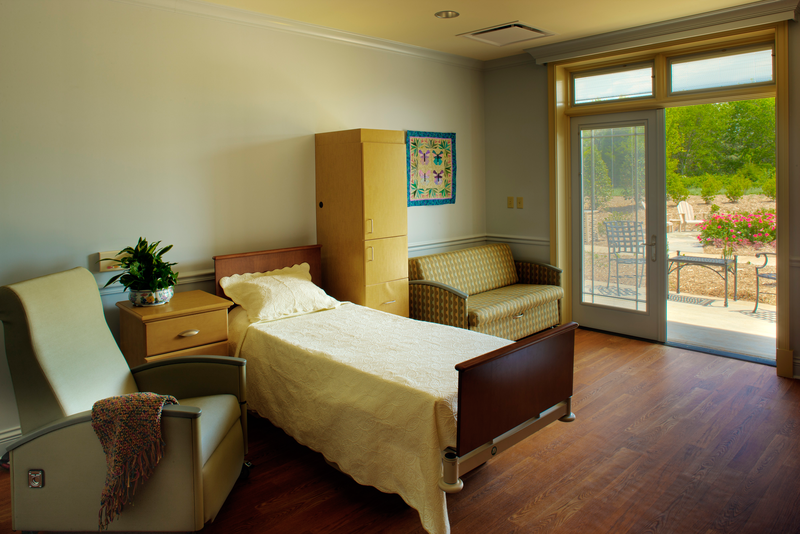 Unfortunately, for a variety of reasons it is not always possible for patients to continue their hospice care at home. 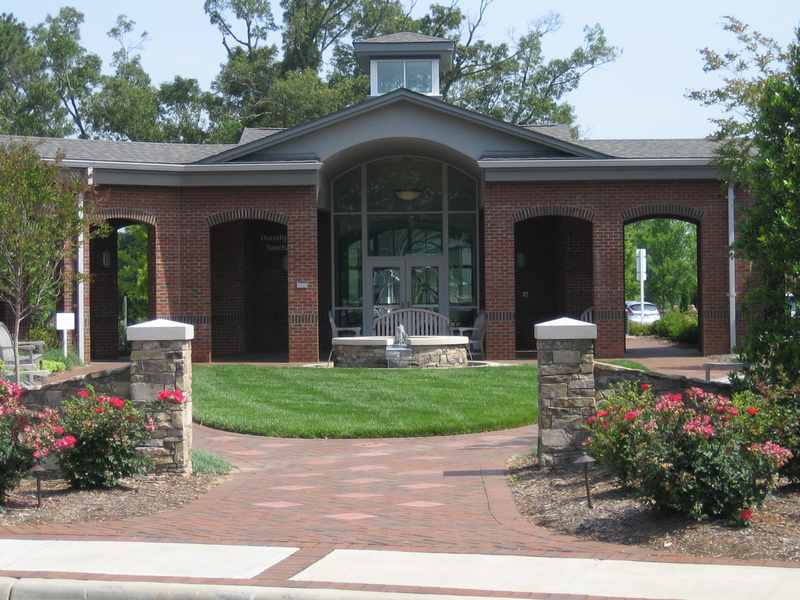 The William M. Dunlap Center for Caring (Hospice Home) offers two levels of care: general inpatient care, and short-stay routine level of care. 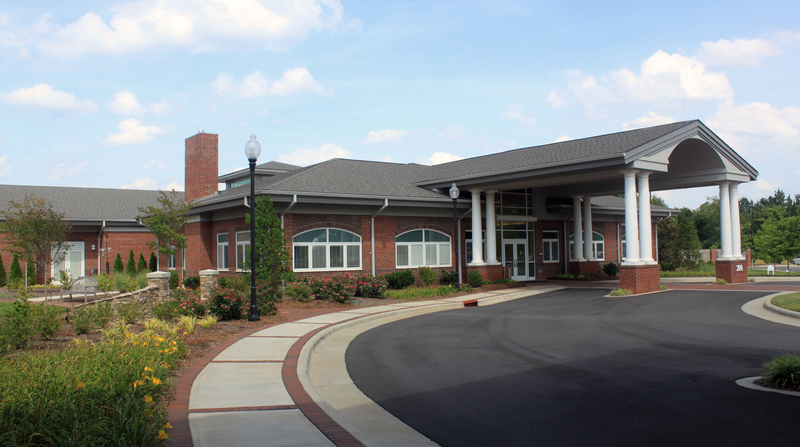 The address for the William M. Dunlap Center for Caring (“Hospice Home”) is 200 Hospice Circle, the building farthest to the right as you enter our Raleigh campus.